​From Sydney to Rio De Janeiro, millions of people have kicked off their New Year 2015 celebrations under the night skies brightly lit with firework displays. Full of joy and hopes people wished each other the best of luck in 2015. Sydney offered some of this year’s most incredible fireworks display with over 100,000 pyrotechnic effects. An estimated 1.6 million people turned up to watch more than 10,000 aerial fireworks and 25,000 shooting comets over Harbour Bridge and the Opera House. Over a billion people tuned in throughout the globe to watch Sydney's New Year's Eve celebrations, as the city takes pride in being one of the first major cities in the world to welcome each New Year. 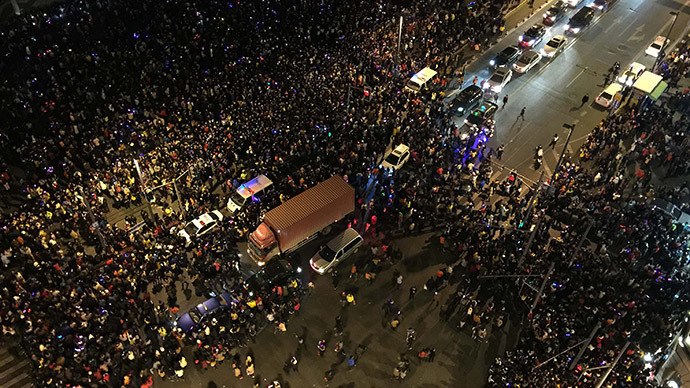 In Hong Kong, around 300,000 people crowded the city's streets to watch fireworks and to see artificial snow effects that lit up the skies over Victoria Harbour in an eight-minute show. Despite terrible news of astampede in Shanghai, hundreds of million across China tuned to Beijing where a stunning light show was displayed over Badaling Great Wall. The landmark skyscraper Taipei 101 was the center of attraction in Taiwan. Celebrations included pop singers and a firework display at midnight. While in Dubai, spectacular fireworks display welcomed in the New Year from the world's tallest building, the Burj Khalifa as thousands gathered to watch the display that featured portraits of the United Arab Emirates emirs. 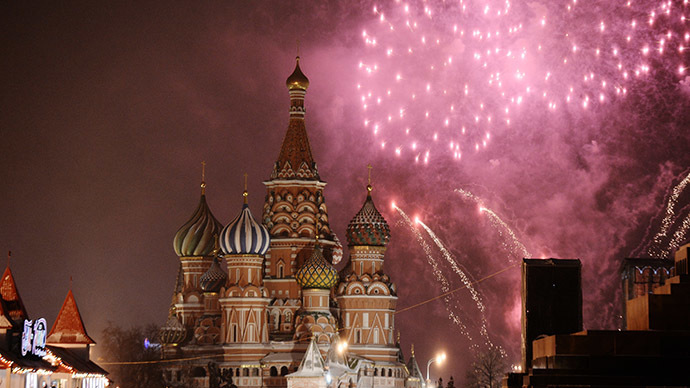 And in the heart of Russia, thousands of Muscovites gathered at the iconic Red Square to start the New Year with a wonderful view of the fireworks over St. Basil's Cathedral and the Kremlin. 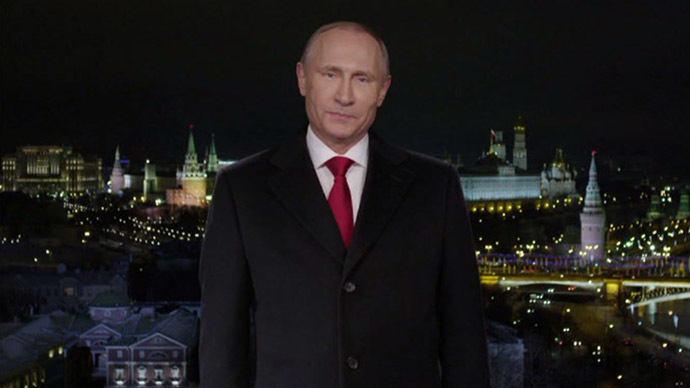 Millions also tuned in to watch President Vladimir Putin's New Year address. Germans too got a dose of wisdom from Chancellor Angela Merkel, but as in the most of the world, the cheerful celebrations turned into a drinking fest. Even eastern Ukraine, seized the hostilities to welcome the New Year, and for many a new start. Illuminating shells lit up the sky above Donetsk airport, instead of shells that have become a familiar scene for the residents there. A few hours later hundreds of thousands of people witnessed the best London has to offer over the River Thames as the fireworks display exploded to the midnight bongs of Big Ben. Rio de Janeiro's main Copacabana beach is the venue for the country's biggest New Year party, as it's practically midsummer at the moment, which is why many partygoers have come to Brazil to kick start their 2015.